The rear sway bar is part of the handling package on the high performance Jeep Grand Cherokee SRT8 that sets it apart from lesser vehicles. 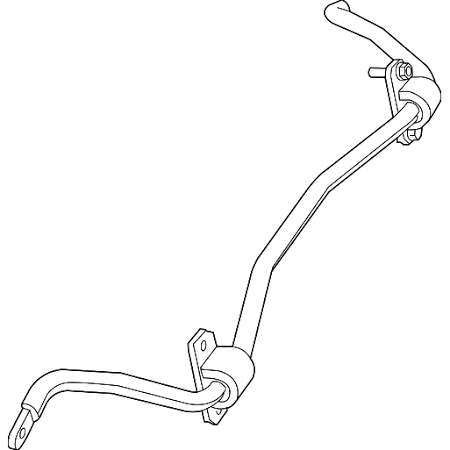 This replacement sway bar is from Mopar, so you know it will fit right. 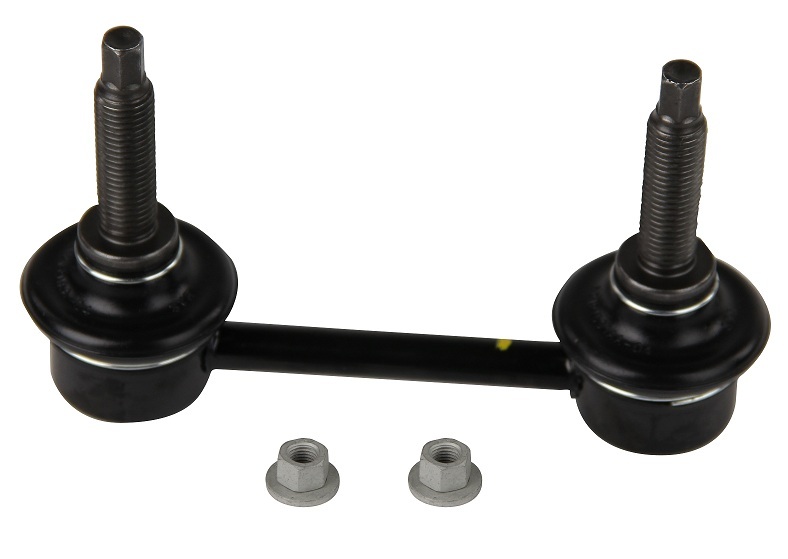 The sway bar is 25 millimeters thick and includes the necessary bushings. The SRT8 sway bar links are sold separately. JustforJeeps.com stocks the genuine factory replacement parts and the aftermarket accessories you need to keep your Jeep in top condition. Buy the parts you need at low sale prices from people who are Jeep experts. The SRT8 Rear Sway Bar Links are sold separately from the bar, please see Accessories tab above. I have a 14' Jeep GC Overland. I purchased it recently and have never been thrilled with the wallowing and handling of this thing. The air ride makes it ride nice, but it floats a little and on road cornering and wallowing are not the best. Yes, we all know these Jeeps are pigs when it comes to the vehicle weight. After reading some others do the rear SRT sway bar swap, I decided to do so. Basically a plug-n-play swap. This SRT bar is slightly larger in diameter and is definitely heavier. Looking at both it is hard to believe, but that small change makes a big difference. I was amazed at how much better the Jeep now handles. Way less wallowing on uneven pavement, railroad tracks, etc. Setting up in a corner no longer do you feel the vehicle shift weight side to side. Steering response is also quicker which I like as well. Best way to describe is that I have felt the Jeep handled one size bigger than its size. I now feel it handles one size smaller than it is and is more agile. Is it a Porsche Cayenne? No, but It definitely handles better than it did for an easy swap and low cost without sacrificing the ride quality. Highly recommend to anyone considering it. ProsEasy and fast swap OEM SRT Bar Makes vehicle handle much better with less wallowing as well. I installed this SRT rear sway bar on my 2015 GC Limited, with the ORA II package and Quadra-Lift suspension. I did this in an effort to add a little more cornering stability to my vehicle. Bottom line, while not turning my CG into a corner-carving Porsche, this thicker sway bar did improve the cornering ability of the vehicle. This bar is APPROXIMATELY 2 MM thicker that the OE sway bar. ProsQuick, easy way to improve the handling of an otherwise ponderous vehicle. ConsAlthough advertised as a 1" sway bar (25.4 MM), the bar isn't quite that thick. Using "English" calipers, I measured this bar at 0.070" thicker than the OE bar, but about 0.018-0.020" under a true 1". I live in the Mountains of Northern California and this change has made a great difference on the curvie roads. Turns I hadto slow down I now take a 65 plus. This along with up graging to Bilstien Shocks. Great product along with the SRT links. The way to go.